Stock status is current as of 4/23/2019 12:46 PMET. 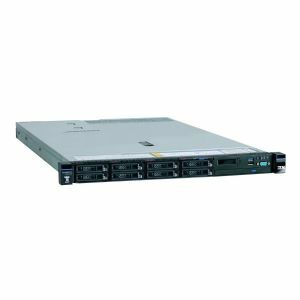 The System x3550 M5 is a cost- and density-balanced 1U, dual-socket business-critical server, offering improved performance and pay-as-you grow flexibility along with amazing features that improve server management capability. The energy-smart design with powerful high-performance processors, a large capacity of high-performing DDR4 memory, and an improved feature set are ideal for business-critical applications and cloud deployments. Combining balanced performance and flexibility, the System x3550 M5 is a great choice for small and medium businesses and up to the large enterprise. It can provide outstanding uptime to keep business-critical applications and cloud deployments running safely. Ease-of-use and comprehensive systems management tools make it easy to deploy. Outstanding reliability, availability, and serviceability (RAS) and high-efficiency design improve your business environment and help save operational costs. Bays: 4 (total) / 4 (free) x hot-swap 2.5" � 1 (total) / 1 (free) x external 5.25"